“So, you have a murder case without a body and drug charges without the drugs?” I said to myself as I prepared for trial in the case of Commonwealth vs. Anthony Caiby. With that, I decided to focus on what I had, and that was a pair of eyewitnesses. These eyewitnesses were, however; co-defendants of Mr. Caiby. The kind of witnesses that the law considers, and the jury would be instructed that they could view, as “corrupt and polluted sources”. On top of that, my two witnesses were drug addicts of a most severe type who contradicted each other on several points. The contradictions were mostly because both minimized their own roles in the murder of David McEntire. You see both of them, Lisa Stavish and Edwin Kelly had already pled guilty to Mr. McEntire’s murder and received sentences of 7 to 20 years. My mind searched for something positive, something motivating about the case. “I have the truth.”, I thought. But the question remained, “How to go about showing the jury the truth?” I had a wonderful team of investigators, dedicated and hardworking, veterans of many homicide trials, in Corporals Shawn Williams and Thomas McAndrew of the Pennsylvania State Police, and Detective Wendy Serfass of the District Attorney’s Office. With these thoughts in mind I began preparation for the trial. Fortunately, I did not need to become familiar with the facts as my first encounter with the McEntire homicide Investigation began nearly six years before, in February of 2010. It was at that stage of this ten (10) plus year missing person turned homicide investigation, that I observed the State Police searching for evidence at the Kelly residence located in Pocono Township. Keep in mind that this was the transition from missing person to homicide and the case had been cold for years. You see, Mr. McEntire went missing in October 2005, over four (4) years earlier. He was last seen in the afternoon of Saturday, October 8, 2005 by his wife and minor children. The only reason we were able to get a search warrant at that point was because Lisa Stavish, drunk and under arrest for shoplifting, had babbled on about witnessing a guy named Dave being murdered at Kelly’s residence in ’05 or ’06 along with some details that would prove to be useful in the successful prosecution of Mr. Caiby in 2016. As was expected, the Kelly residence was a filthy hole cluttered with garbage, dirty clothes, partially eaten food, and stained furniture. A typical “crack house” here in the Poconos. It was in a secluded neighborhood, heavily wooded and private. The one legged Edwin Kelly, aka “Beans”, had lived there for many years. However, he was a native of the Garden State, as given away by his quite pronounced Jersey accent. It would take the Forensic Service Team nearly a week to complete the processing of the residence, outbuildings, and grounds. The team was top notch, consisting of troopers Phil Barletto, Jody Radziewicz, and John Corrigan, among others. We weren’t optimistic that they would be successful in finding evidence of a murder that may have happened there years before. But we knew that without corroboration we would not be able to move forward with the now Homicide investigation. One of the major goals of the investigation was always to locate David McEntire’s remains so that his family could have some closure. The suffering of a murder victim’s family is poignant beyond description. In cases where the body remains missing, that suffering rages, often tinged and intermingled with a futile hope. While the forensic guys toiled away in Kelly’s filthy residence, Beans was being interviewed by Corporals McAndrew and Williams. Early in the questioning, the men showed Beans a photograph of the victim. The question, “Do you know this guy?”, would provoke a telling response from Kelly – “He was never in my house.” The trained investigators recognized this as quite an odd answer and continued the inquiry. They asked, “What happened to him, Ed?” Beans replied, “I was there.” Williams asked, “Tell us what happened?”, and Beans replied with, “Where do I start?” This followed with a blunt, “Start with the guy who got killed” from McAndrew and the details started to unfold that would further the search and would eventually tie together the scene and the players. Kelly began to relate facts about the disturbing murder of Dave McEntire. Much of what he said followed the sequence of events related to the police earlier by Lisa Stavish. The incident started with Lisa Stavish returning to the Kelly residence after an overnight of partying with a drug user known as “Fat Joey”. She was attacked by “Frank”, aka Anthony Caiby, “Beans” aka Kelly, and “Buddha”, aka James Gaines. The men accused her of stealing drugs and money, apparently after slipping Beans a ‘Mickey’ and retrieving the contraband from his prosthetic leg. While Stavish was being smacked around and questioned, Dave McEntire, a crack addict came by. He was either lured there, or had the most unfortunate luck imaginable. Upon being let in, David was also accused of stealing by the men and brutally assaulted in the living room of the residence. He was then dragged to the basement door and thrown down the steps. He was beaten some more and unfortunately, his denials and pleading earned him no mercy. At some point a black ski mask was put over his face backwards, covering his eyes and as he lay upon the cement floor of the basement, the group’s leader, Frank, aka Caiby sat upon the steps holding a .22 caliber rifle. Frank fired several of the rounds into David’s legs. “Not to kill him”, Kelly explained, “just to torture”. There was a discussion about what to do next. It was clear to them that allowing David to live was not an option. A particularly cruel method of finishing off David was decided upon where Stavish and Caiby mixed cocaine with bleach. The poison was drawn into a syringe. Lisa was given the task of injecting it into David’s body. After two injections of the deadly mix, David finally stopped breathing. “He went out like soldier”, reflected Kelly. With the relative quickness and sophistication of planning, that was characteristic of Caiby’s intelligence and cunning, David’s body was wrapped in a blanket and carried out to a burn pit behind the house. Gasoline was applied and the fires kept burning hot for several hours. Both Stavish and Kelly described the odor of burning flesh as unforgettable and indicated they had ‘no words’ to describe the odor. The clothing worn by the killers was collected by Caiby for disposal. The basement was cleaned with bleach and hosed down. The living room would also be cleaned eventually, the carpets steam cleaned and the walls given a fresh coat of white “Master Hide” paint. The burnt remains of 42 year old David Walter McEntire, a husband, brother, and father of four (4) children, were collected into a contractor’s trash bag for dumping. David’s Blue Ford Econoline Van was driven to David’s place of business off of Route 209 in Brodheadsville where it was left. The keys left in the ignition and the doors locked after being wiped down. According to Stavish, she would later accompany Caiby to an area adjacent to Harry’s U-Pull It in West Hazelton where Caiby removed the trash bag from the trunk and left to return about a half hour later without the bag. Of course, Stavish had left out of her version the part about injecting David with a “hot shot”. She would only come clean about that fact after a polygraph examination had been arranged with her lawyer. Before the machine was wired to Stavish, she admitted to administering the hot shot. Kelly would be charged first, immediately after his interview and confession. He eventually pled guilty to murder in the third degree and was sentenced to a maximum of twenty years’ incarceration. Stavish and Caiby would not be charged until after the case was submitted to the Grand Jury. The Grand Jury heard testimony for a little over a year. Collectively, they recommended that both be charged with murder and a variety of drug offenses. Buddha would not be positively identified until the Spring of 2015. As of this writing he is awaiting extradition from Rikers Island in New York. He is, of course, presumed innocent. In June of 2015, Lisa Stavish pled guilty to third degree murder and was also sentenced to a maximum period of twenty years incarceration. After the usual pretrial motions were ably decided by the trial court Judge Jonathan Mark, the case against Anthony Caiby aka Frank, the drug dealing ringleader of the murderous group, was finally ready for trial in January 2016. The trial would be hotly contested by Caiby’s attorney, Vernon Chestnut of Philadelphia. Mr. 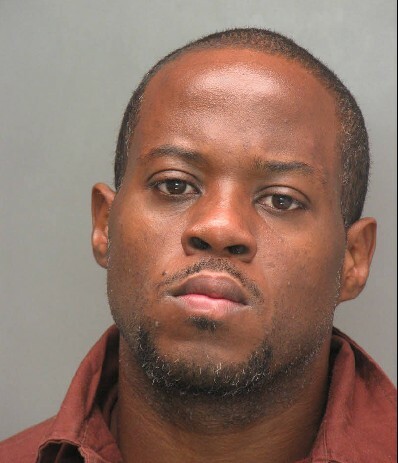 Chestnut had served for many years as an assistant district attorney in the City of Brotherly Love’s Homicide Division under DA Lynn Abraham. The Commonwealth called about twenty five witnesses. These included Caiby’s codefendants, Stavish and Kelly, as well as the lead investigators, the forensic team members, drug users who had purchased from Caiby and other drug dealers from the Monroe County area that had been associated with the group. Many of David’s family members also courageously testified and attended the trial under very trying circumstances. In the end, the jury’s verdict was true. Justice was done and a measure of closure finally given to the McEntire Family. Anthony Caiby was found guilty of Murder in the First degree, Conspiracy to commit Murder in the First Degree, Possession with Intent to deliver Cocaine, Conspiracy to Commit Possession with the Intent to Deliver, Abuse of Corpse, and Tampering with Evidence. Mr. Caiby is facing a sentence of life in prison without parole. … It was a pleasure to serve on the jury and to watch your carefully executed story unfold. There were only one or two brief moments throughout the case where I didn’t know which direction my decision would turn but ultimately your expertly scripted closing remarks sealed the deal. In addition to the testimonies and presentation of evidence, I found your closing summary, your concisely stated key points (1, 2, 3 etc.) together with the visual media to be a winning combination. Once judge Mark gave us the instructions and rules of the law, it was like plugging numbers into a simple algebraic formula. “If (this), then (this).” After that, our job as a jury was easy.